We visited Kobe as a day trip on our second last day in Kansai. It was an impromptu decision actually as we’d initially decided to stay put in Osaka after visiting Kyoto and Nara a couple of days back. But we kinda ran out of places to visit in Osaka, which is pretty much of a business and commercial hub, with much less character and history than its neighbouring cities and towns. So it was off to Kobe for more patisserie hunting! 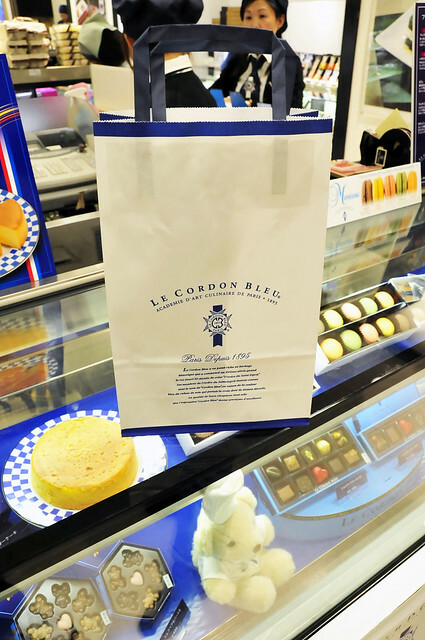 Tucked in a small inconspicuous corner of SOGO Kobe is the sales booth of Le Cordon Bleu Kobe. Given its small store space, very selected items were on display and for sale. 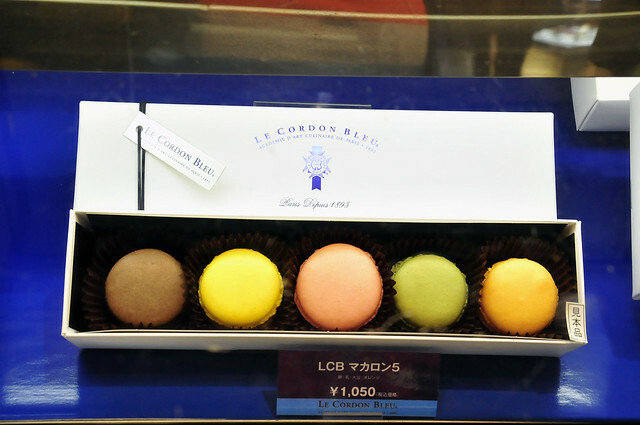 These included some chocolate truffles and bon bons, a LCB Butter Cake which is supposedly very very popular amongst the Japanese ladies and macarons! Doesn’t take much to guess what we chose! 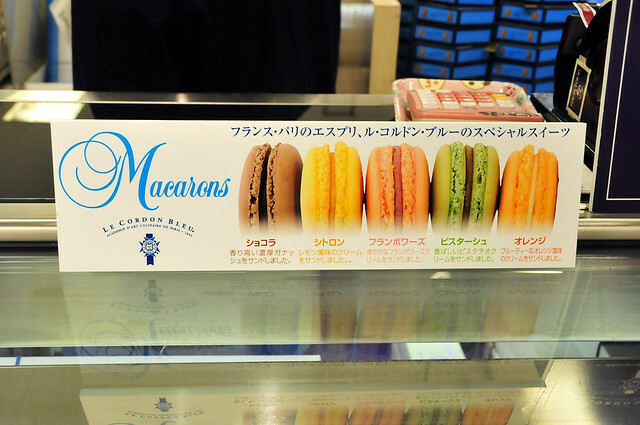 Macarons come prepacked in a boxes of 5 going at 1050 Yen. Not too pricey, compared to what other stores are selling. And this is LCB afterall! Flavours from left to right, chocolat, citron, framboise, pistache et orange aka chocolate, lemon, raspberry, pistachio and orange! Unveiling the packaging after coming back to Singapore. 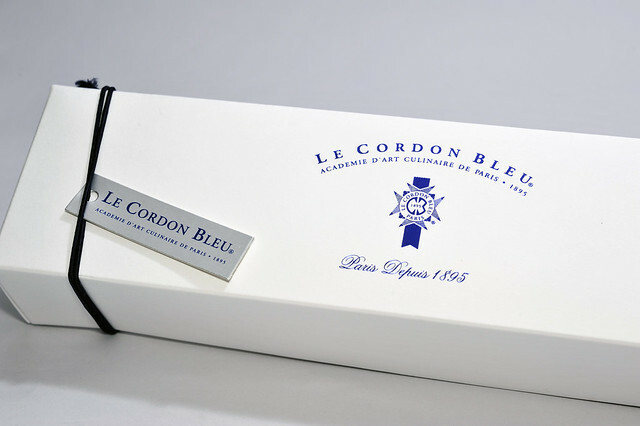 Apart from the slide-in cover, the opening of the box was film-sealed around the edges to maintain the macarons. Macarons individually placed within black truffle paper cases, ensuring that they make a safe journey back! Some quick shots before taking taste test! Orange, pistachio and chocolate. Mac filled quite generously and the smooth and shiny shells with extremely pronounced feet, especially on the pistachio one! Equally pleasing are the lemon and raspberry ones! 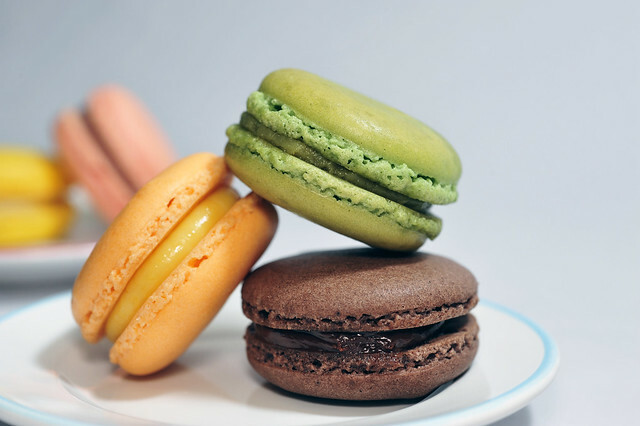 All the mac fillings were ganache-based, all except the chocolat macaron was incorporated with chocolat blanc, which is an excellent vector for an assortment of different flavours. Having aced the “visual test”, now to see how they taste! Starting off with the most “subtle-flavoured” one. Or so I thought! Wafts of citrusy perfume spiraled up my nose as I took the first bite. Very very good! The zesty aroma exuded from the citrus oils were very very pronounced. What a surprise! 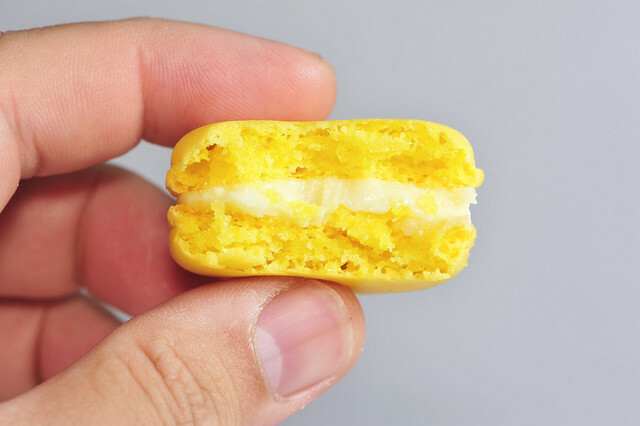 Next comes the most tart of the lot, Lemon Macaron with lemon ganache filling. 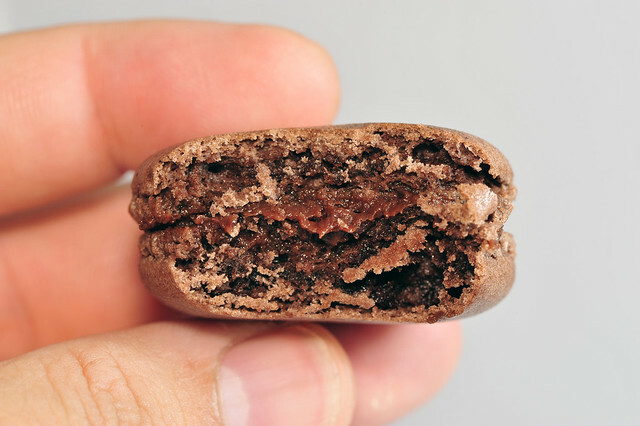 The use of ganache was perpetuated in all the LCB macs and quite understandably so, being easier to store over longer periods of time compared to buttercream-based ones. It also tends to be less cloying, using the sweetness from the chocolate to counterbalance the acidity from the lemons. Despite the mellowing effect, tart notes were still very apparent, which I enjoyed tremendously! 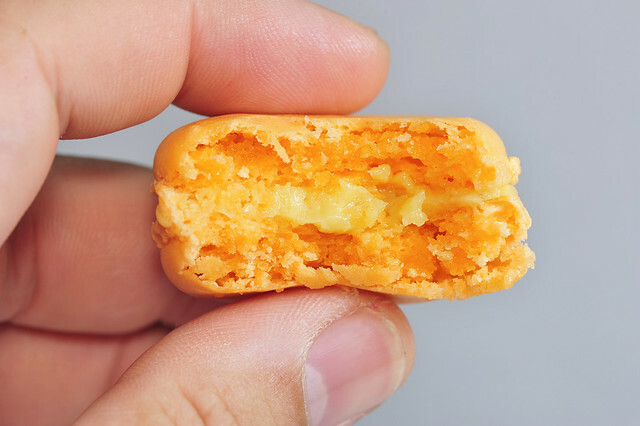 Like the orange mac, the shells for the citron mac were perfectly done, providing a gentle crunch without being overtly chewy was what would be typically expected from underbaked macarons. Switching over to pistachio for a change in tones. The filling was aromatic but the nuttiness was much less obvious than what I’d expected, since its a “double shot” from almonds and pistachios. 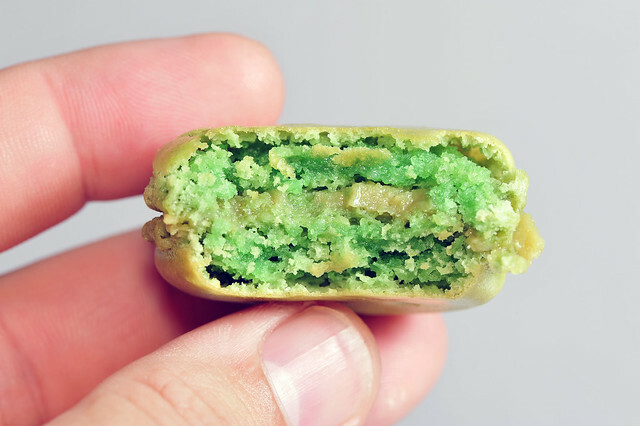 Its quite probable that only the filling is infused with pistachio paste while the shells were kept strictly to only almond meal. Quite a shame really. The shells were also a tad too crunchy, probably slightly overbaked with some gaps showing up. Overall still a good piece, but not as great as the citrus themed ones above. Back to framboise, flavour was much much milder than what I’d anticipated. Not very exciting. I’d expected the piece to permeate the fragrance and tart flavours of raspberries but it was watered down in both aroma and taste. Were my senses dulled from the previous three macs? Well, I had generous gulps of water to wash it all down. It was also getting boring I guess, as the composition of the pieces were pretty much uniform and thus, on the mundane side…A little dollop of framboise confiture or a square of gelee would make the piece much more interesting yeah? Shells were very good like the lemon and orange pieces. No complaints about that. 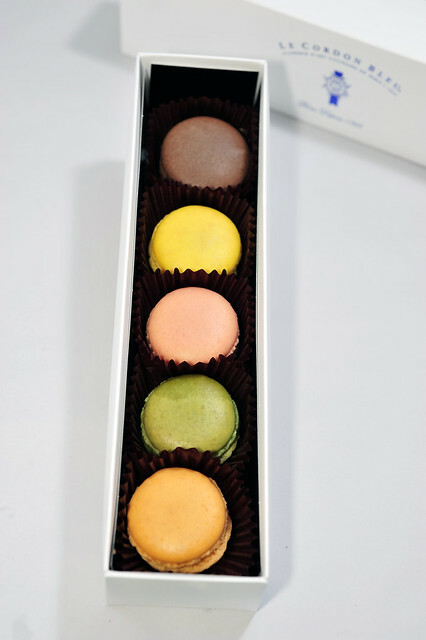 The quality of the macarons were very consistent, well made shells with good ganache fillings. Well, they had better be, since they teach folks to make macs, who end up teaching other folks to make macs. So they’d better know how to make good macs to start with! The lemon and orange ones were very, very delicious IMO but then it starts to get boring with the others. Perhaps I’m partial towards acidic flavours, or maybe I’d raised the bar with the chocolate and pistachio ones subconsciously. The macs were indeed good, but not on the fantastic scale. Not all of them at least. This entry was posted on March 8, 2012 by Alan (travellingfoodies). It was filed under Food, Travel and was tagged with chocolat, chocolate, citron, framboise, french pastry, italienne meringue, Japan, kansai, Kobe, Le Cordon Bleu, Le Cordon Bleu Kobe, lemon, macarons, orange, pâtisserie, pistache, pistachio, raspberry. You really a macarons lover!! I seen many macarons in Melbourne here but have yet to try any.. Very beautiful pictures! I’ve never tried to make macarons before. Can you be my sifu? I had no idea that there was even such a day ! Lovely photo and really interesting Blog! Alan, today I took macarons picture at Prahran market but i did not buy because each is AUD 2.50 which equivalent to RM 8, very expensive ler..I even complaint when I saw KL here selling each RM 2.50-3…but I regreted when I saw the photo I took which there is a sign said this is awarded to best macarons in Australia 2010, I should just buy one and tried on behalf for you , hehehe ..
haha ic ic…yeah macarons are freaking expensive for some reason.. that’s why its always best to make your own! Waiting for you to get back home and post the photos! Hopefully the trip has been inspiriing enough for you to make your own macs! Alan, you can be named the die hard fan of macaroons. In singapore, I can’t bear to part my money for these but can’t speak for my son. LOLz. Actually I am anxious to see the round up. Will be nice to see the flavour combination. Hahah Edith, don’t say that! 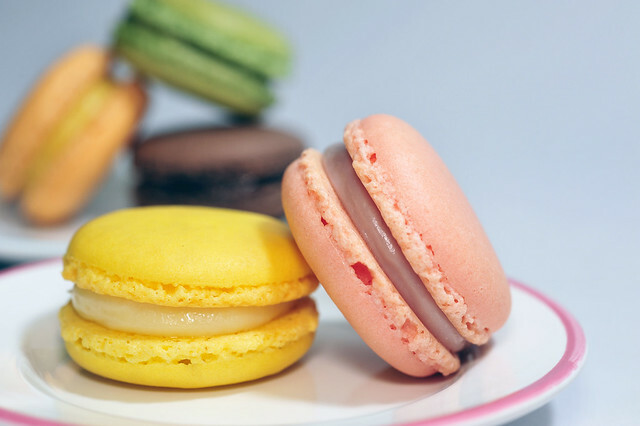 There are a lot of diehard macaron aficionados in Singapore as well! 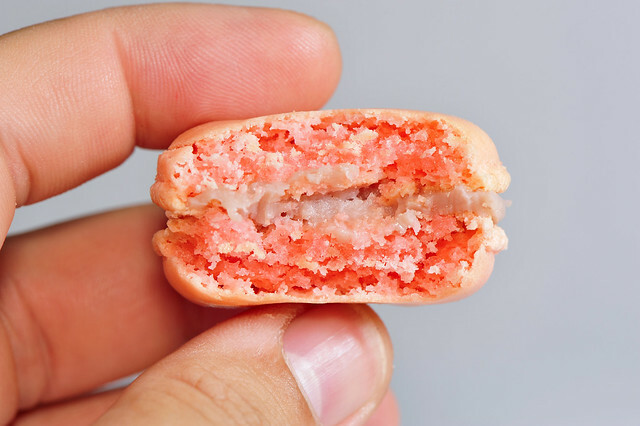 So your son loves macarons! wow! Watch his sugar though… but then again, he’s a growing boy, so I guess it doesnt mater at his age! Grow grow away! 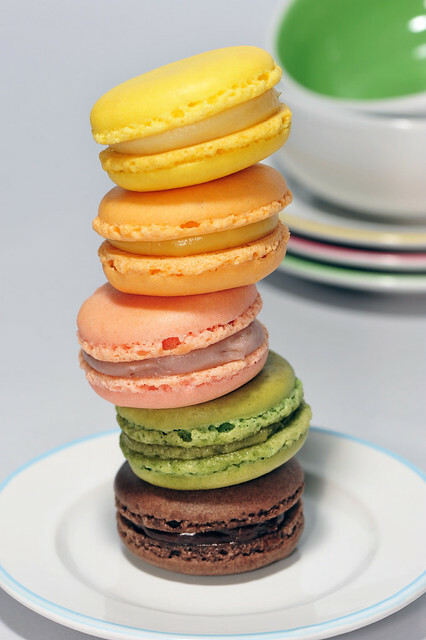 Oh macarons…I love them but yet have to try to bake them…this ones look fabulous…love the pictures and the flavors. Hi Juliana! You should try them! Thanks for dropping by too! Thanks Edna! 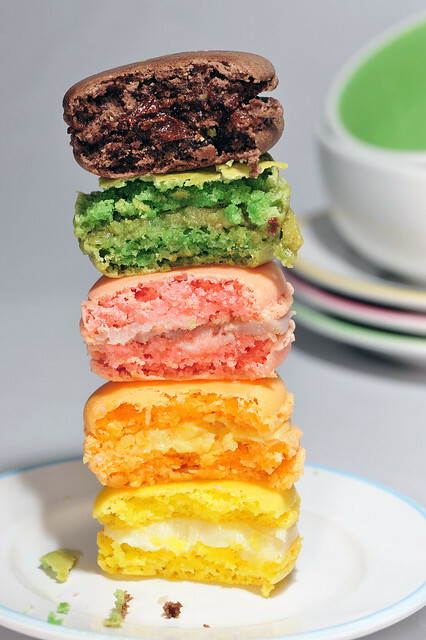 Especially for the insights for Macaron Jardin Enchante!